BronxNet executives Michael Max Knobbe (right) and Bernardo Moronta welcome Makilala co-hosts Cristina DC Pastor and Jen Furer to the studio at Lehman College. Makilala TV, the first Filipino American television talk show in the New York metropolitan area, is slated to debut on BronxNet TV on September 7. BronxNet becomes the third public access community network in NYC to broadcast Makilala. The cultural program, hosted by public health professional Rachelle Ocampo, author Jen Furer, and journalist Cristina DC Pastor, is an MNN production which is filmed every month out of Manhattan Neighborhood Network’s El Barrio Firehouse Community Center. Before coming to MNN, it was aired through Queens Public Television from 2013 after it was created by Maricor Fernandez and Pastor. Right now, Makilala is “live to drive” on MNN, QPTV, and BronxNet. All three stations have a combined viewership of more than a million subscribers. Makilala co-hosts and co-producers (from left) Jen Furer, Cristina DC Pastor, and Rachelle Ocampo share a laugh before the camera goes live. How Makilala came to BronxNet can best be described as serendipitous. Executive Director Michael Max Knobbe recalled coming to MNN’s Firehouse studio one Saturday after attending a cultural event nearby. “I got curious, I felt a strong energy, force to stop by the studio during the production of an anniversary episode of your program. I was impressed with your program and chatted with your team,” he said. He left a card, and Makilala promptly sent an email. BronxNet Traffic Manager Bernardo Moronta, who heads the programming department, reviewed the pilot and was impressed. “I felt that it was very compelling with high production value, and would make a great addition to our multicultural channel," said Moronta. “Filipinos constitute one of the fastest-growing ethnicities in the United States, and BronxNet is proud to provide strong programming for this under-served audience." 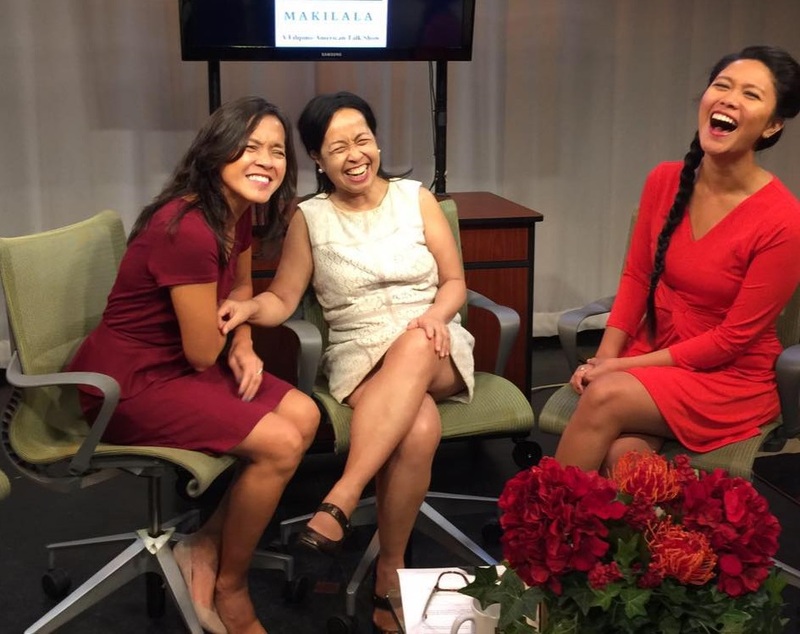 Co-hosts Jen Furer, Rachelle Ocampo, and Cristina DC Pastor interview community leaders on Makilala, the first Filipino American talk show in the New York metropolitan area. Makilala means ‘get to know’ in the Philippine language. The show airs primetime on BronxNet’s BX Culture channels, Optimum 69 and Fios 35, every Thursday at 8 p.m. It can also be streamed worldwide via BronxNet.TV. Bronx resident, Victor Palmos, is the Playback Producer, while Furer is the Playback Video Editor/Coordinator. On August 30, Furer and Pastor visited BronxNet’s Lehman College facility to express their thanks. They met Moronta, and reconnected with Knobbe. Moronta said BronxNet is just as “excited” to air Makilala, the first Filipino American program in the station’s 25-year history. "First QPTV, then MNN, and now BronxNet! We are truly fulfilling our mission to raise the Filipino American voice through honest and provocative conversations,” said Ocampo. “I appreciated Mr. Knobbe’s genuine interest in our show and our potential to grow our viewership." Knobbe said the station would like to invite Filipinos living in the Bronx to attend training courses on field or studio production. Once they become certified access producers, they can use the facilities of BronxNet and produce their own shows. There are approximately 4,800 Filipinos in the Bronx as of 2015, according to the Philippine Consulate in New York, citing data from the Migration Policy Institute. “Makilala is proud to be part of the BronxNet’s family and its long and storied history of community-based journalism,” said Pastor.